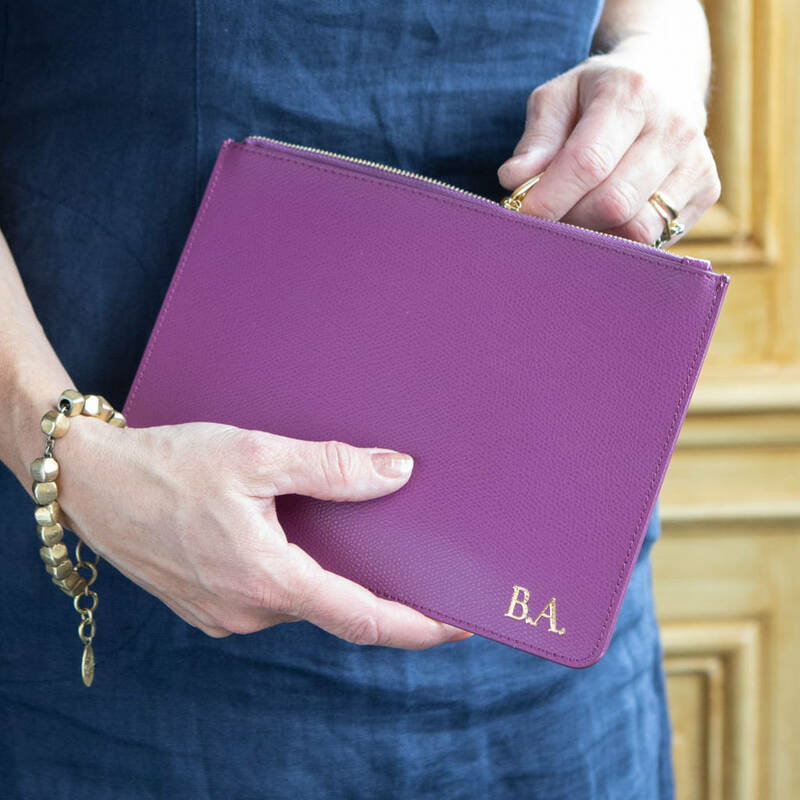 A stunning leather pouch personalised with initials to make an excellent bridesmaids' gift. A fantastic way to remember the day! 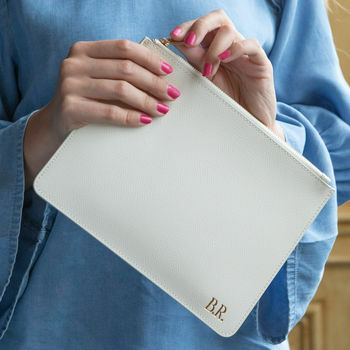 These luxe pouches have so many uses! 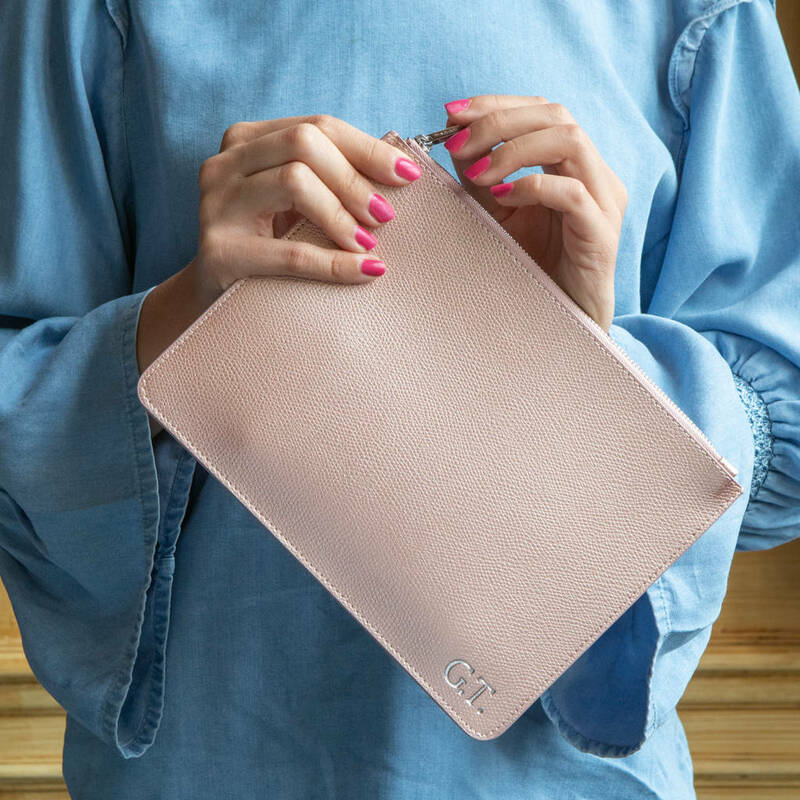 This fabulous little leather pouch will be a much loved gift. 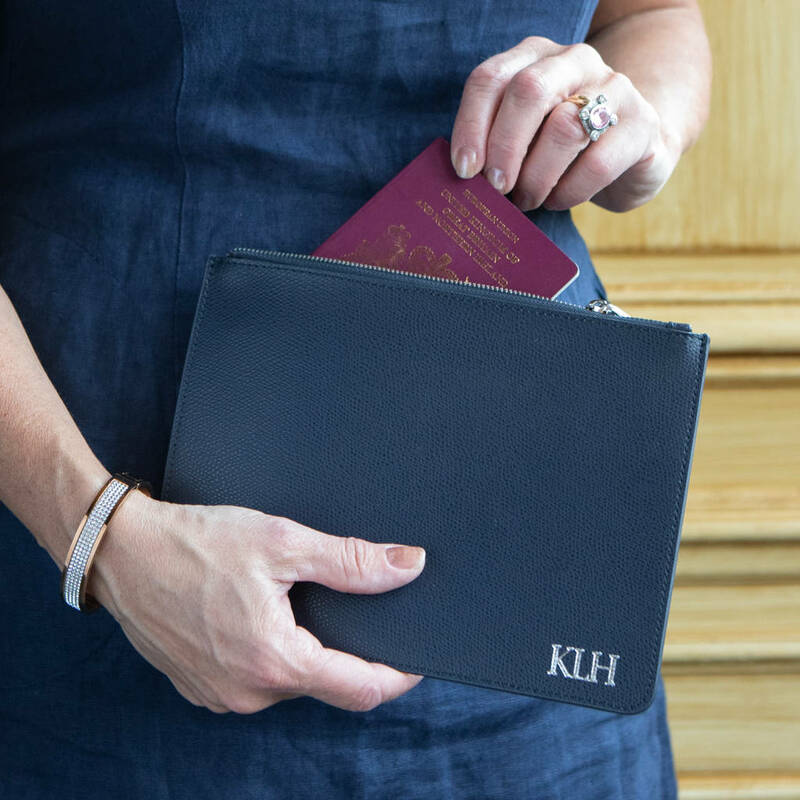 It can be popped into a handbag and used for make up, it can be used as a passport holder when travelling, kept in a desk with receipts etc. It also doubles up as a small clutch as will happily hold a phone, lipstick and a few cards. Perfect. 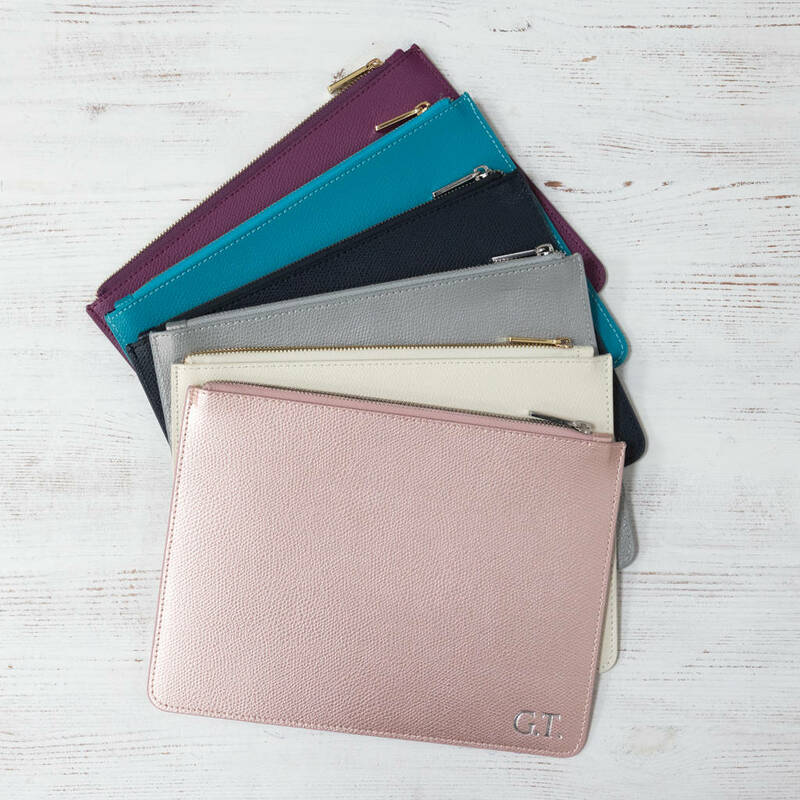 Available in ivory, rose gold, silver, teal, mulberry and midnight blue. 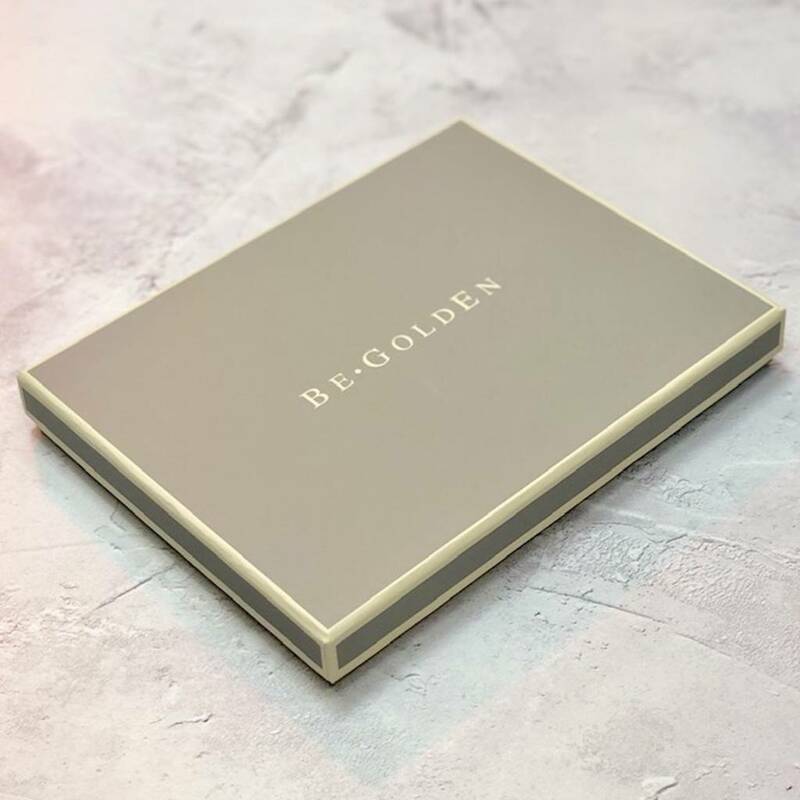 Have them printed with foil letters to match the zip ( ivory, teal and mulberry have a gold zip, silver, rose gold and midnight blue have a silver zip) or blind printed for a more subtle look. Blind printing is where the letters are pressed into the leather with heat. Made from premium recycled leather with a luxe reptile effect finish. Fully lined in a matching fabric. The pouch measures approx 22cms x 16cms.